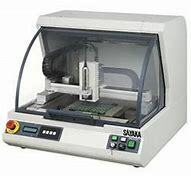 【SAYAKA】SAM-CT23V | Products （PCB Splitter Robot ）| MASS CO., LTD.
・Create and edit cutting data based on DXF data. 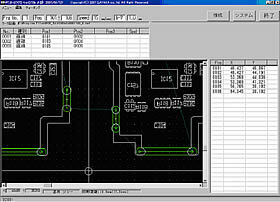 Start up the Teaching application PCB-EDIT2 on the PC and then just click somewhere you want to cut on the screen. ・Quite Simple Operation (Teaching, etc)/Management because of Software based on Windows. ・The Same as NJ Series with 3 Axes Control by the Introduction of High Speed Driving System, It Saved Tact Time. 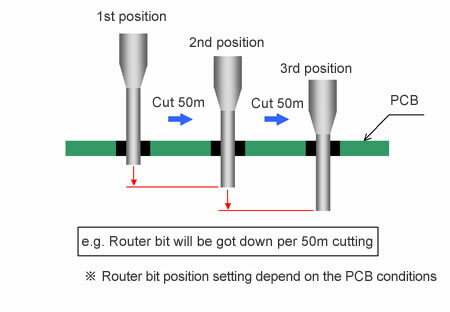 ・PCB Cutting Jig is can compatible with Upward Class NJ series machines. 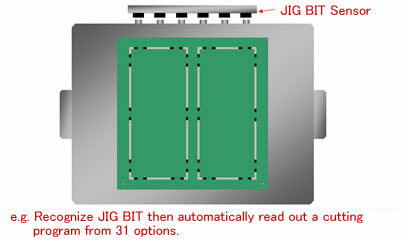 ・Automatic select cutting program with JIG BIT system from 31 programs(option).